The book 'Yes I Remember' has a number of photographs. On page 24 of that book is a photo showing the grave of Gunner R.A. Norris. 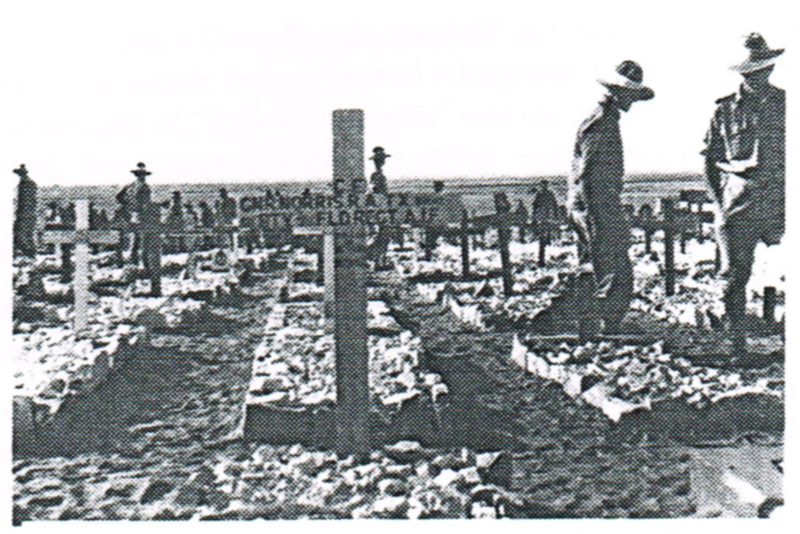 The photo is captioned "Soldiers looking for their mates graves after the battle of El Alamein". Unfortunately the photo does not repoduce well due to the large size of the "dots" in the photograph. However with a bit of manipulation this is the best reproduction available. The cross has the letters CE presumably denoting Church of England followed by "GNR NORRIS R.A. TX __?__ __?__ BTY __?__ FLD REGT AIF".